Our mind, and therefore our body, has the beautiful ability to self heal. We can allow healing. In the same way that cuts and bruises heal – but on a larger scale. A healthy balance in body and mind is our natural state of being. Our minds and bodies are built to handle and bounce back from a certain amount of stress. Life happens! But consistent levels of intense stress and worry have been shown to interrupt our ability to stay in balance and allow the body its easy return to well-being and best levels of functioning. We may easily get caught in a kind of stress loop of reactions and thoughts. The good news is we can consciously intercept these repeated patterns! To counter ongoing stress we need to take distinctively positive, relaxing actions. Reading, meditation, naps, taking time to play with family, soothing music, funny movies, walks, gardening, dancing – what is your chosen way to take a break and intercept the neural pathways of stress? How do you reclaim your peace of mind? Massage is one great option! Massage is a relaxing, healing antidote to stress. Reiki is now available with a massage or by itself. 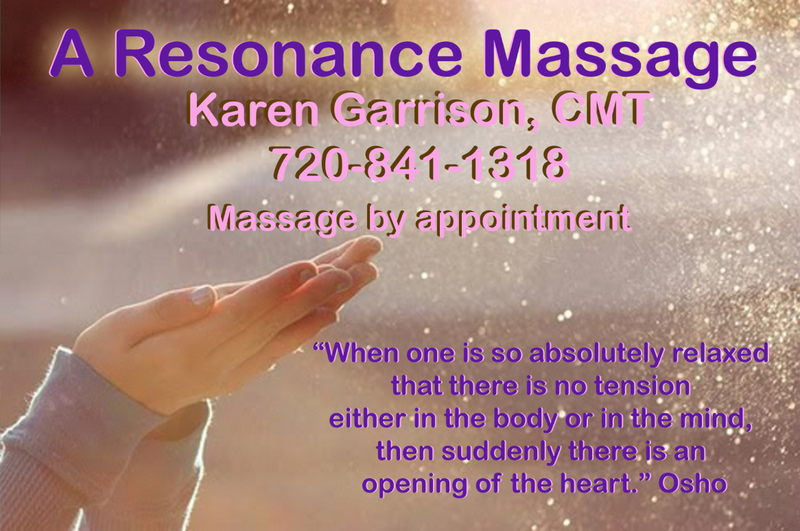 Both Reiki and massage are systems of natural healing that focus on the body and energy. Both are approaches to energy work or energy healing. The Japanese healing art of Reiki has similar practical purposes—to increase and free the unbalanced energy flow in the body. But while massage manipulates and penetrates muscle tissue, Reiki uses only light touch and sometimes merely the proximity of the healer’s hands to particular parts of the body, using prescribed hand positions, depending on the training tradition. Massage is an ancient tradition, one of the first recorded medical treatments in China more than 2,000 years ago. Reiki is a recently developed practice, invented in 1922 by Dr. Mikao Usui, a Japanese Buddhist. Adding Reiki onto the end of your massage is a beautiful complimentary session and deepens the relaxation.